How Can Barley in the Book of Mormon Feed Faith? Stalk of Barley via Wikimedia commons. When Zeniff takes a group of Nephites back up to the land of Nephi, seeking to reclaim “the land of [their] fathers’ first inheritance,” they “began to till the ground, yea, even with all manner of seeds” (Mosiah 9:1, 9; cf. Mosiah 7:22). Included in their list of crops are wheat and barley, two Old World grains long believed to be absent in the pre-Columbian New World. Yet, for barley at least, this assumption is mistaken. Over time, more and more evidence for domestication of little barley in the Americas has emerged over an increasingly wider span of both time and geography. Little barley may have diffused to other regions of the Americas which were known to trade with the southwest and eastern United States, including the exchange of crops.6 In any case, evidence demonstrates that in at least some parts of the Americas, a type of barley was a highly important crop during Book of Mormon times. This has important implications for the Book of Mormon. 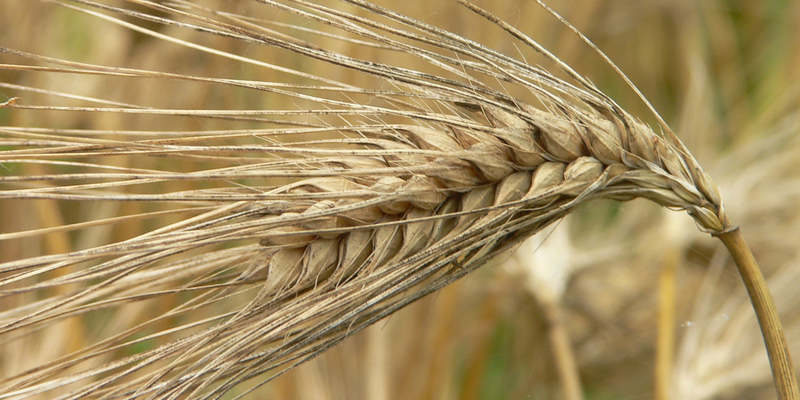 In the second and first centuries BC, barley played a significant role in Nephite society, not only as food, but as a measurement of exchange (Alma 11:1–19), just as it did in ancient Near Eastern economic systems.7 Evidence from what is often called archaeobotany (the study of plants remains at archaeological sites) now confirms that a species of barley was highly important to some cultures in the Americas at this time. This is another example that illustrates the benefits that come with patience in archaeology.8 John L. Sorenson commented, “That such an important crop could have gone undetected for so long by archaeologists justifies the thought that wheat might also be found in ancient [American] sites.”9 Questions remain about Nephite crops, animals, and material culture, but discoveries like little barley illustrate the wisdom in keeping an open mind and avoiding hasty judgments while considering and exploring what the Book of Mormon says about Nephite life. 1. See John L. Sorenson and Robert F. Smith, “Barley in Ancient America,” in Reexploring the Book of Mormon: A Decade of New Research, ed. John W. Welch (Salt Lake City and Provo, UT: Deseret Book and FARMS, 1992), 130–132. Also see John L. Sorenson, Mormon's Codex: An Ancient American Book (Salt Lake City and Provo, UT: Deseret Book and Neal A. Maxwell for Religious Scholarship, 2013), 303. 2. For a listing of several places it has been in the mid-west and eastern United States, see Tyler Livingston, “Barley and the Book of Mormon: New Evidence,” Book of Mormon Archaeological Forum (2010). 3. Michael T. Dunn and William Green, “Terminal Archaic and Early Woodland Plant Use at the Gast Spring Site (13LA152) Southeast Iowa,” Midcontinental Journal of Archaeology 23, no. 1 (1998): 47 mention little barley as one of two “startchy-seed” crops that “dominate archaeobotanical assemblages in the area” of western Illinois and eastern Iowa during the Middle and Late Woodland periods. Some of the data supporting this is discussed on pp. 63–64. 4. Dunn and Green, “Terminal Archaic and Early Woodland Plant Use,” 64, state that grains of little barley found at Gast Springs were dated to 2800 +/– 45 BP. BP stands for “before present,” hence 2800 BP is approximately 800 BC. 5. Dunn and Green, “Terminal Archaic and Early Woodland Plant Use,” 64. 6. See Livingston, “Barley and the Book of Mormon”; also see John L. Sorenson, “Mesoamericans in Pre-Columbian North America,” in Reexploring the Book of Mormon, 218–219. 7. See John W. Welch, “The Law of Mosiah,” in Reexploring the Book of Mormon, 160; John W. Welch, “The Laws of Eshnunna and Nephite Economics,” in Pressing Forward with the Book of Mormon: The FARMS Updates of the 1990s, ed. John W. Welch and Melvin J. Thorne (Provo, UT: FARMS, 1999), 147–149; John W. Welch, “Weighing and Measuring in the Worlds of the Book of Mormon,” Journal of Book of Mormon Studies 8, no. 2 (1999): 40–41. 8. For additional examples, see Book of Mormon Central, “Why Are Horses Mentioned in the Book of Mormon? (Enos 1:21),” KnoWhy 75 (April 11, 2016)..
9. John L. Sorenson, An Ancient American Setting for the Book of Mormon (Salt Lake City and Provo, UT: Deseret Book and FARMS, 1985), 184. How Does the “Mosiah-First” Translation Sequence Strengthen Faith? Where is the Land of Promise? Why Does the Book of Mormon Mention Cimeters?